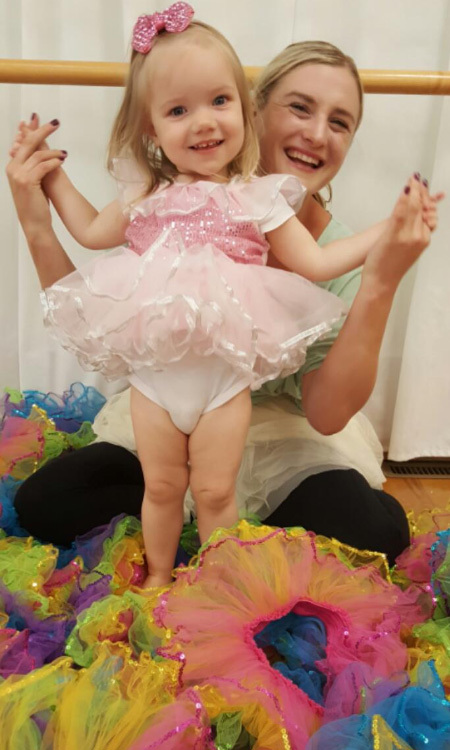 Baby Ballet is a class designed for our 1 and 2 year old budding ballerinas. Each class is filled with wands, tutus, crowns, props, and basic ballet steps! Parents and guardians are invited to sit in each class with their dancer. Sign up your little one for out most adorable class! Dancers can wear any color leotards, tights, leggings, tutus, dresses, or anything they are comfortable twirling around in. Ballet shoes or barefeet! Check out our dance supplies store for ballet slippers and cute ballet outfits! For more information call 732-974-1919!